1979 in the Philippines details events of note that happened in the Philippines in the year 1979. The Nacionalista Party is the oldest political party in the Philippines and in Southeast Asia responsible for leading the country throughout the majority of the 20th century since its founding in 1907, being the ruling party from 1935 to 1944, 1944–1946, 1953–1957, 1957–1961 and 1965–1972. April 10 – Presidential Decree No. 1616, an act to create an Intramuros Administration for the purpose of restoring and developing Intramuros was enacted. 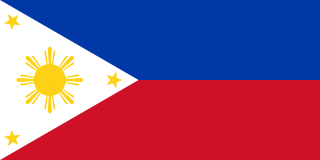 May 7 – Sangguniang Pampook elections are held for the Regional Legislative Assembly of the former Autonomous Regions in the Philippines which are the Region IX and Region XII. July 30 – Eat Bulaga!, the longest running noon-time variety show in the Philippines, premiered on RPN. It was also aired on ABS-CBN from 1989 to 1995 and on GMA Network since 1995. October 31 – Project Gintong Alay, a national sports program was commenced. November 12 – Melanie Marquez, was crowned as Miss International 1979 in the pageant night was held in Mielparque, Tokyo, Japan. Anthony "Boom" Labrusca is a Filipino character actor and model. Lee Vann Corteza, also spelled Lee Van Corteza, is a Filipino professional pool player. He is nicknamed "Van Van", and started playing pool in 1993. 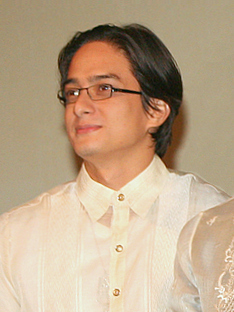 Kristoffer Lou Gonzales Agoncillo, known as Ryan Agoncillo, is a Filipino film and television actor, model, singer, photographer, and TV host. Rudolfo Austria “Rudy” Fernandez, Sr. was a prominent Filipino labor leader, trade unionist and staunch opposer of the late President Ferdinand Marcos in Davao City, Philippines. He was one of the original organizers of the Trade Union Congress of the Philippines (TUCP/KMP) in 1975 and helped draft, develop, and establish its constitution and by-laws. He first came into the Philippine labor movement arena when he founded the Davao Port General & Transport Worker’s Union (DPGTWU), now the Association of Trade Unions - TUCP (ATU-TUCP), in Davao City. DPGTWU was one of the most active labor organizations in Davao City and its membership spread throughout Mindanao in the Southern Philippines during the years between 1967 and 1979. He ran for the Interim Batasang Pambansa (IBP) in the Philippines in 1978 as an Industrial Labor Sectoral Representative for the Mindanao Region but ultimately lost against his closest rival, Princess Porti Pacasum, daughter of one of the richest Lanao Muslim clans and owner of the biggest transport company in Lanao, Philippines. Canuto Francia, better known as Canuplin, was a Filipino stage performer and magician who gained fame for his impersonation of Charlie Chaplin in Filipino movies and the local bodabil circuit. 1992 in the Philippines details events of note that happened in the Philippines in the year 1992. The following is a list of events affecting Philippine television in 1986. Events listed include television show debuts, finales, cancellations, and channel launches, closures and rebrandings, as well as information about controversies and carriage disputes. The following is a list of events affecting Philippine television in 1987. Events listed include television show debuts, finales, cancellations, and channel launches, closures and rebrandings, as well as information about controversies and carriage disputes. 1989 in the Philippines details events of note that happened in the Philippines in the year 1989. 1985 in the Philippines details events of note that happened in the Philippines in that year. 1984 in the Philippines details events of note that happened in the Philippines in the year 1984. 1983 in the Philippines details events of note that happened in the Philippines in that year. 1981 in the Philippines details events of note that happened in the Philippines in the year 1981. 1980 in the Philippines details events of note that happened in the Philippines in the year 1980. 1978 in the Philippines details events of note that happened in the Philippines in the year 1978. 1977 in the Philippines details events of note that happened in the Philippines in the year 1977. 1976 in the Philippines details events of note that happened in the Philippines in the year 1976. 1975 in the Philippines details events of note that happened in the Philippines in the year 1975. 1972 in the Philippines details events of note that happened in the Philippines in the year 1972. 1971 in the Philippines details events of note that happened in the Philippines in the year 1971. 1970 in the Philippines details events of note that happened in the Philippines in the year 1970. 1969 in the Philippines details events of note that happened in the Philippines in 1969. 1967 in the Philippines details events of note that happened in the Philippines in 1967. 1954 in the Philippines details events of note that happened in the Philippines in 1954. 1 2 3 The 1980 World Book Year Book. Chicago, IL 60654: World Book-Childcraft International, Inc. 1980. ISBN 0-7166-0480-9. ↑ Ma. Lourdes Maniquis (1994). "Philippine Theater". In Nicanor Tiongson. CCP Encyclopedia of Philippine Art. V (1st ed.). Manila: Cultural Center of the Philippines. p. 272. ISBN 971-8546-30-8.